How to make your first visit with us a breeze! We believe that your time in our office is valuable. Therefore, we strive to make every one of your moments count. We will invest our time together discovering the causes of your pain or health conditions, and work towards your healing instead of filling out paperwork. Remember, we’re here to help you get out of pain, improve your health and get you back to doing the things you love. Welcome to Chamberlain Chiropractic and Wellness! We feel blessed and excited that you are considering a visit to our office. Check out what to expect here. Get to know us. Then contact us to make an appointment so we can then get to know you and how we can best help. From the moment you walk into Chamberlain Chiropractic and Wellness, you’ll know that we’re different than any office you’ve visited before. The energy in our atmosphere isn’t like anything you’ve felt before. It’s a positive place for our community to gather. Want to know what other people think? Prior to your first visit, we ask that you complete your New Patient paperwork in full. The more information we have about your health history, the more we can help you, and therefore we ask that you take your time filling it out with as much detail as you can. When you first call to schedule, we’ll book your initial appointment and a follow-up. When you arrive, you’ll receive an Office Tour with our caring and friendly staff. You’ll feel comfortable and relaxed and have a moment to look around before seeing the chiropractor. We’ll get started with your consultation by taking a comprehensive history and answering any questions you may have, gaining an understanding of what has brought you in. 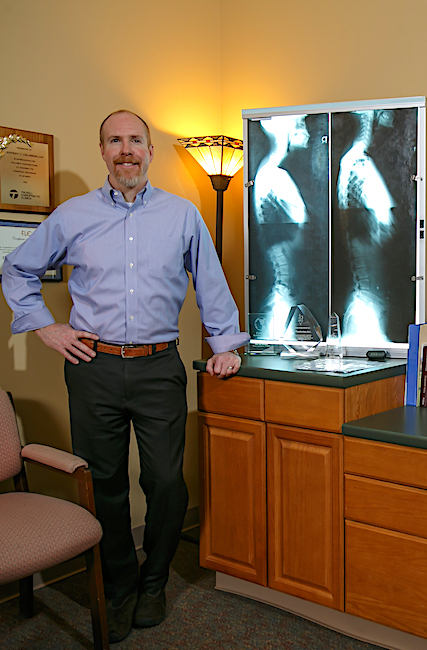 We will take digital X-rays if needed, and perform scans with the advanced Insight Subluxation Station. Through this process, we seek to locate the cause of your problem so we can develop an effective plan to help you. Your first day is then complete. That night, Dr. Chamberlain will sit down to analyze your case and create a personalized plan to help you. At your follow-up appointment, we will go through a full report of findings from all testing, scans and X-rays from your first appointment. 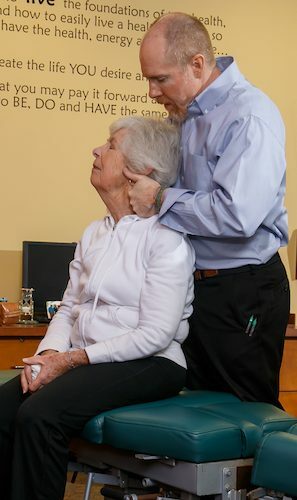 You will get a detailed explanation of whether we can help you, and if so, what our plan of action will be to get you feeling well and functioning better. We will also discuss what it will take to help you maintain incredible health, and will go through your financial information. You will receive your first adjustment and will be on your way in about 45 minutes. regular wellness care. It’s just like seeing the dentist periodically to make sure your teeth are in good shape. You can stay on top of any problems that may occur and enjoy the greatest levels of wellness with periodic visits. At each of your appointments, we encourage you to ask any questions you may have. You can always call or email us, too. 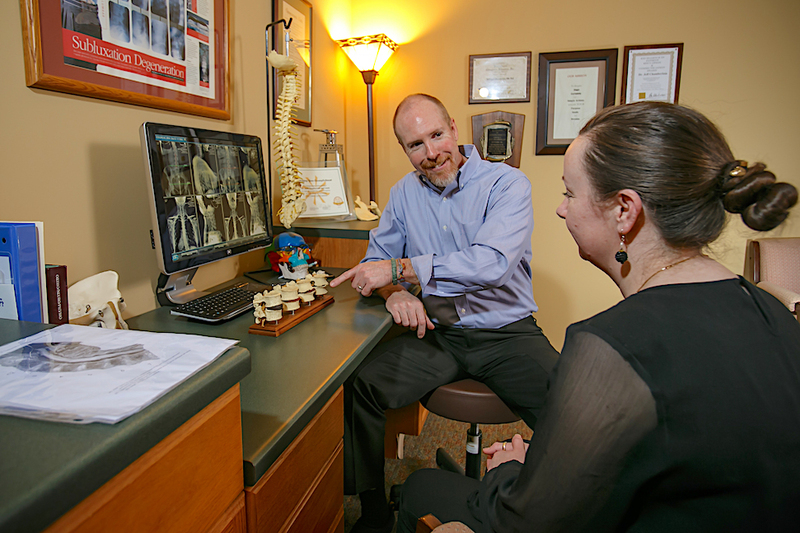 We want your care at Chamberlain Chiropractic to be an efficient and completely enjoyable experience. Remember, you are either moving toward health with your actions and disciplines or moving away from health. That is why it is so important that you understand your personal why to what will motivate you to get truly well, and do the necessary actions to stay healthy, energetic, and vibrant. Pain Relief and Wellness Solutions are just a phone call away!